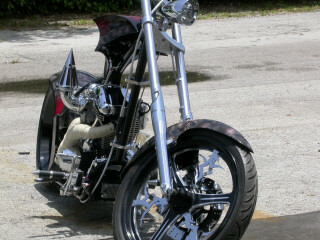 War Eagle single sided swing arm frame with 8-6-42 measurements, powder coated in gloss black. 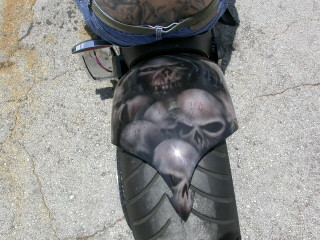 Running a 250 rear tire. 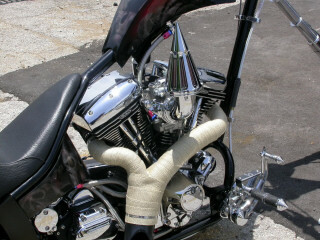 Bike has a Rev Tech 110 motor with a Rev Tech 6 speed transmission, using a BDL 3” belt drive on the primary and belt drive rear sprocket with integrated brake pulley system. 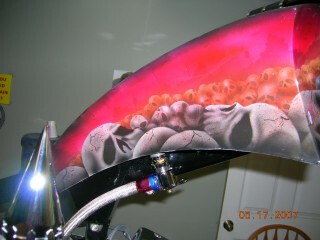 Front end is a Mean Street with Demon tails highlights. 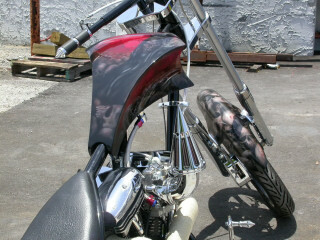 Rear suspension is air ride made by Trickie Air. 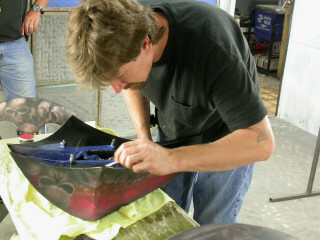 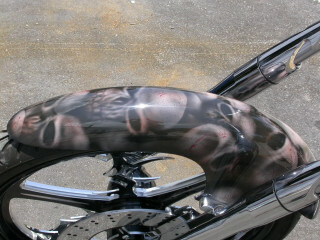 Both front and back rims are Rev Pro’s with tribal chrome highlights. 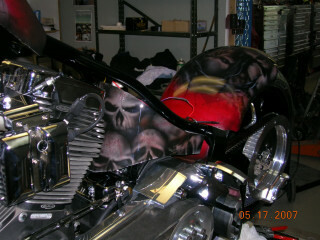 Custom exhaust with black ceramic coating and wrapped with header wrap. 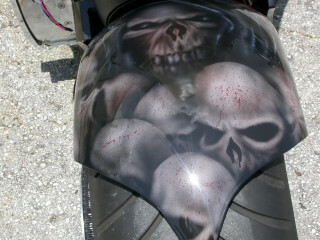 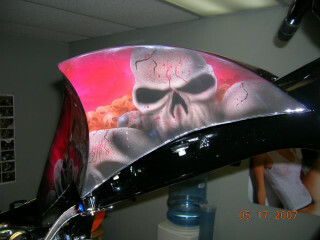 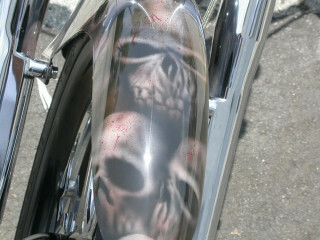 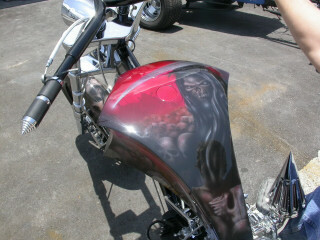 This bike is one of a kind with custom paint depicting the Grim Reaper and Skulls. 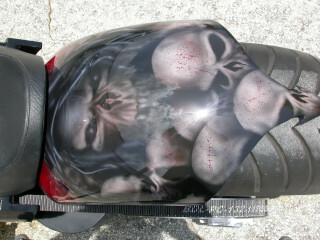 This is a NEW MOTORCYCLE, and will be titled in your name. 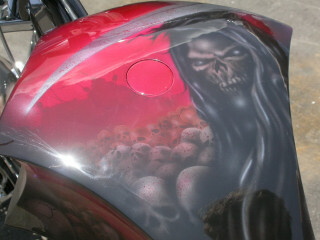 Motor has warranty from manufacturer.